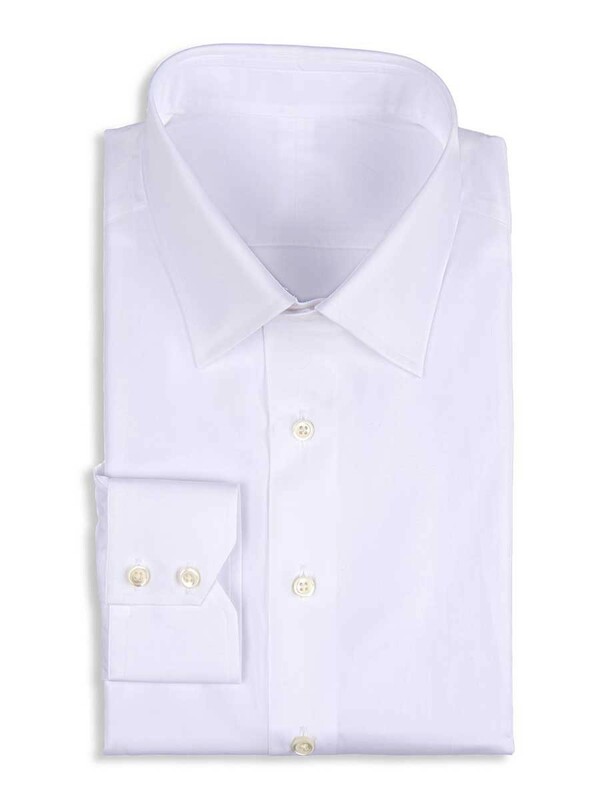 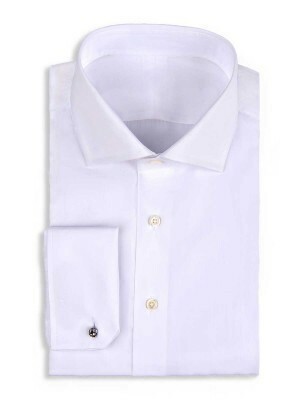 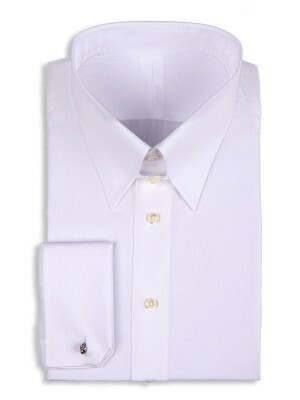 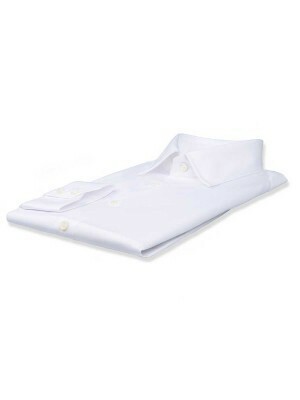 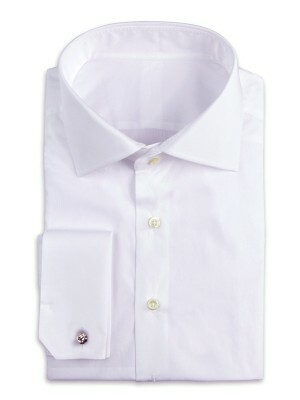 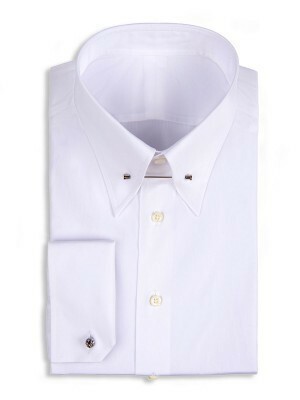 This white stretch poplin shirt features a traditional collar and 2-button notch cuffs. 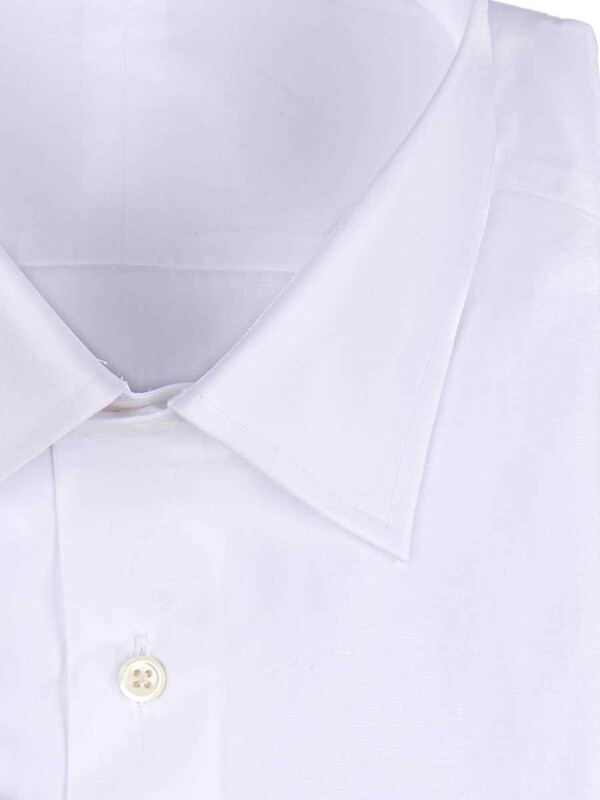 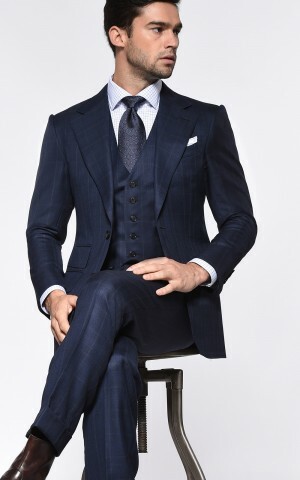 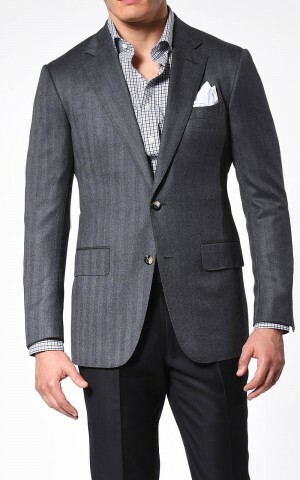 The traditional collar has a semi-spread orientation, which pairs nicely with smaller to medium sized tie knots. 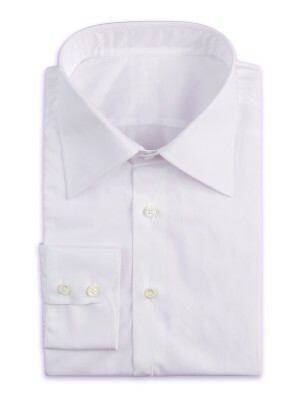 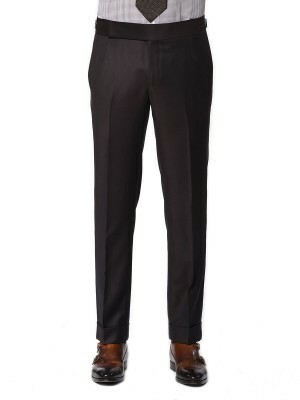 Crafted by hand, this shirt is woven from luxurious cotton with added stretch for extra comfort.